View our special supplement in the Floor Covering News magazine! 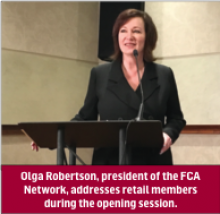 Meet Olga Robertson , president of FCA Network, an alliance of floor covering retailers. 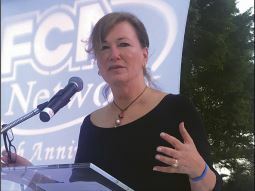 She is one of very few women leaders in the floor covering industry. 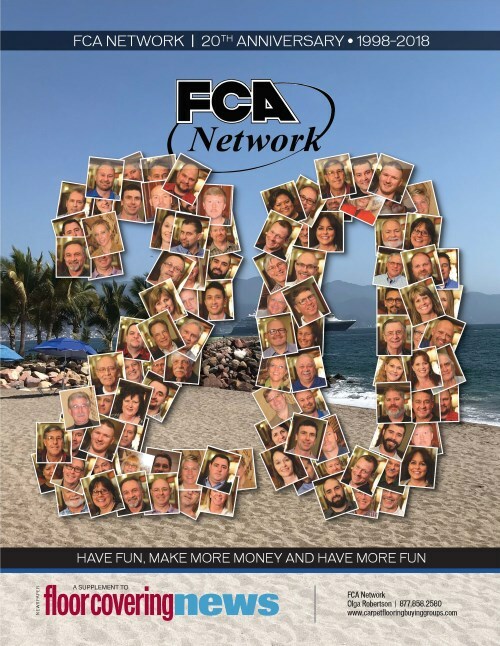 In her role with FCA Network, she is fiercely focused on the success of her members. I first met Olga when she participated in a panel discussion at Surfaces. I describe that presentation in Lis Calandrino – Tips From the Trade. OR: My parents immigrated to this country because they wanted to make a better life for themselves and their family. I was born in Naples, Italy, the first of 4 children. My sisters were born in this country. Dad worked at the steel mill and mom worked at home. As a young girl, raised in a lower middle class family with a strong work ethic, there was simply no excuse for not working hard and taking your education seriously. I was privileged to have a parochial education for 12 years with 4 years in an all girls’ high school… actually that was the best time of my life. One thing my father always said to me, which I never really understood until I was in the workplace, was “not to expect something for nothing.” Mom, the disciplinarian and the nurturer, always told me I could be anything I wanted to be. So at a very early age I knew that if I worked hard and applied myself I could make more money than my father… Unfortunately not many young people coming out of college today will be able to do that based on the statistics that we are so painfully aware of. I learned the important lesson that to live the American Dream required discipline, a lot of determination and the right opportunities… and this is where Bob Hill comes into the picture. Anyway, I finally called Bob and started one week later right after Christmas… on January 3, 1978. He was willing to pay me $15.00 more per week and I thought, sure, I can do this and continue to look for something else. If you hear Bob Hill tell the story I was there for 30 seconds and started running the place… It wasn’t quite like that, but I was fortunate to be hired by someone who recognized my talents and work ethic early on and gave me so many opportunities to prove myself. I adopted an attitude of listening and learning from other successful people. OR: What I like most are the people in the industry; that’s why I stayed in this industry. There are some really fine people in this business: Carl Bouckaert, Ralph Boe, Vance Bell, Randy Merritt, John Godwin to name just a few. I’m blessed to have met and worked with talented and passionate people just like you. I’ve worked with and learned from the best. OR: I could live without the customers…..:-)! I suppose it’s the challenges we all face in an imperfect world that seem to be even more intense or magnified in retail floor covering. In order to satisfy a customer you must do everything perfectly…. 100% in an imperfect world is a very tall order. You have to count on so many people to do everything 100% all along the chain…. It’s not easy. OR: Have QR tags on every sample from every supplier. We would download our custom app to whatever mobile platform with information from all our vendors and have immediate access to our pricing, specifications, inventory, etc. Wouldn’t that be a great sales tool…. and so cool! Talk about exciting news!… Floor Covering News has just published its 25th anniversary issue – dated May 16/23, 2011. It’s an impressive 132 page issue filled with milestones recapping the last twenty-five years in the floor covering industry. It also highlights 25 flooring women to reckon with! 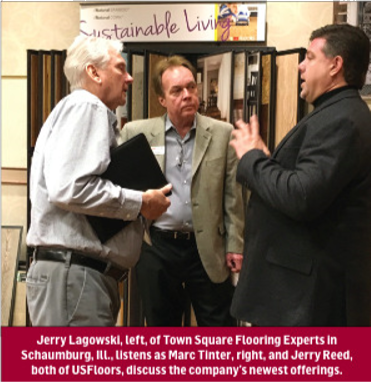 Check it out by clicking on this link for the digital issue of Floor Covering News’ 25th anniversary edition.